Our world is full of magnificent islands. We have the list of 10 largest islands in the world and also 10 most awesome artificial islands. But did you know that there are some islands found on maps that are actually non-existent? Those who claimed as discoverers of these islands testified that they have seen them and even landed them. Teams that were assigned to check these assumed lands ended up seeing the wide shores and nothing more, although other declared that they discovered the said islands. Below are the ten islands on maps that don’t really exist. In 2012, this island was declared as nonexistent. But before that, Sandy Island appeared on Google Earth and was located between New Caledonia (Pacific) and Australia. The British ship Velocity originally recorded the island in 1876. Its first appearance on British map was in 1908. Many of the expeditions were not able to locate the island and was later removed in some maps during the 1970s but remained on others. Sandy Island was not seen on French maps. Maybe the French have the idea that it does not actually exist or they were ignorant about its existence. Scientists at the University of Sydney proved the nonexistence of this island when they tried to see the island for confirmation of its existence. The ship Velocity’s crew mistakenly identify the pumice rafts as an island. A volcanic activity formed the pumice rafts (floating rocks) and known to be seen or float in the supposed location where the island was previously claimed to be seen (1,400 meters or 4,600 ft deep). If old maps were accurate, Saint Brendan’s Island is thought to exist in the Azores (south part) in North Atlantic and west of the Canary Islands. It was named next to the Irish monk, Saint Brendan, who discovered the island (AD 512). The 14 monks and Saint Brendan landed this place and even settled there for almost two weeks as claimed. Barino, another monk, also distinguish the land, declaring it that it was full of flowers, birds, mountains and forests. Other teams tried to spot the island but with no success until in 13th century, the island was proven that it is really nonexistent. Nevertheless, one sailor in 1400s said that he saw it but unable to land there because of the furious weather. Because of it, ships were sent by the Portugal king but unluckily, never returned. 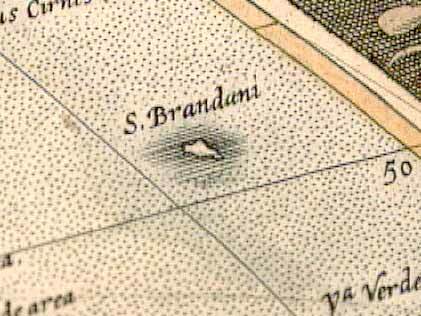 It was until 18th century that this island continued to appear on some maps but was still not found by ships and was finally agreed by everyone that Saint Brendan’s Island didn’t really exist. The Journal of the Bizarre website says that Saint Brendan’s Island truly existed but has been sunk and this is under the sea nowadays. The Great Meteor Seamount can be found now under the ocean where this so-called Saint Brendan’s Island is located as claimed, so the data from the Journal of the Bizarre website might be true. Hy-Brasil Island appeared on maps in 1325. Other maps showed it as two different islands, sharing the same name. It is claimed to be about 200 miles (320 km) off western shore of Ireland. Until 1800s, it was reported a hoax. The Irish believed that it was covered by thick mist and can only be seen every after seven years, while the Europeans said it has a civilized community. There were inconsistencies when it comes to the shape, location and name of this island when seen on different maps though located on the same area. Three teams or expeditions from England between the year 1480 and year 1481 were sent to check on this island but unluckily, that said island was not found. But, the Spanish diplomat in 1497 said that one of the expeditions was able to find Hy-Brasil island. It was in 1674 when John Nisbet, a Scottish captain, claimed that he saw the island while sailing from France going to Ireland. This captain also claimed that his four men landed this island and stayed there for one day. Furthermore, he claimed that it was occupied by a magician living in a castle and an aged man who offered these men silver and gold. A follow-up expedition was also launched by Capt. Alexander Johnson who also claimed that he was able to land on this island, not mentioning anything about the aged man. In 1872, TJ Westropp and Robert O’Flaherty declared that they saw the Hy-Brasil, too. Westropp also claimed he revisited three times, including a moment when he brought his family with him. He also claimed that they witnessed the island disappear and appear. In the 1380s, Frisland was found by Nicolo Zeno’s ancestors named Nicolo and Antonio. Nicolo Zeno from Venice stated that in the year 1558. Zeno also stated that the island is in the south part of Iceland, Estotiland in its west and Norway to the east. Estotiland would have been Labrador or Newfoundland (North America). Would that mean his ancestors entered America prior to Columbus? Zeno pretended the existence of Frisland island for him to become popular. Frisland Island was seen on a lot of maps. It was announced that it was just a lie during the 19th century, not before some seamen insisted that they saw the island. In 1576, Martin Frobisher mistakenly identified Greenland for Frisland. In 1580, John Dee also insisted it for the country England. In 1989, when a philologist named Giorgio Padoan, insisted that Zeno was speaking only the truth and that these Italians entered New World prior to Columbus. Between the nonexistent Frisland island and Ireland, another nonexistent island was probably located. This is the Buss Island as claimed by Martin Froshiber who also mistakenly identify Greenland as Frisland. It was in 1578. In 1671, Capt. Thomas Shepard said that he was able to visit this island. This caused England to dispatch teams to check out this location. But they were not able to locate the island. Other than that expedition, there were more expeditions happened but nothing succeeded in discovering or finding it. Some believed that the island had sunk because it was reported in 1776 that the area was shallow. But it was John Ross’ expedition in 1818 that he discovered that the island’s location was not at all shallow. This nonexistent island still appeared on maps but was later deleted in 19th century. Same with the Frisland, the Crocker Land is a nonexistent land that was made up by Robert Peary. In 1907, he declared to have found a newly discovered island neighboring Greenland and located at 130 miles (209 km) Cape Thomas Hubbard (northwest) in North Canada, during the first journey in 1906. Peary called the land the Crocker Land which was named from George Crocker. George Crocker cosponsored his expedition in 1906 for $50k. Robert Peary made up this island because he wanted to ask Crocker for another $50k. Peary talked about this made up island through his book Nearest the Pole. He convinced everyone with his discovery and that was the reason why many explorers were so eager to find the island. It was on Arctic maps from 1910 to 1913. United States got interested in this island. Later on, it was discovered that Croker Land was only Peary’s false story. It doesn’t matter if other call it Dougherty’s Island because it does not really exist. Daniel Dougherty, a Captain, found it in the far south location of the Pacific Ocean during his journey from the beautiful country of New Zealand going to Canada in the year 1841. The island’s existence was also confirmed by many sailors but not by Captain Scott. He wasn’t able to find it when he tried to visit its assumed location during 1904. The Sydney Morning Herald of Australia in August 11, 1931 reported that the expedition joint by Australian, New Zealand, and British tried to cross the location but was not able to confirm its existence. It was in 1937 that Dougherty Island was eliminated on maps. It was during 1821 when Captain Nockells recognized an island at the south portion of Macquarie Island, also near to Antartica. He called the island after his own ship, Emerald. This Island supposedly disappears and appears. Some teams stated that they saw the land, while others told that they couldn’t see it. Others also stated it moves, the reason why men cannot view it at its assumed location. Some said the island existed but unfortunately has remained sunk due to the seismic motion. Those who declared that they viewed the island have different descriptions of how this island looks like. 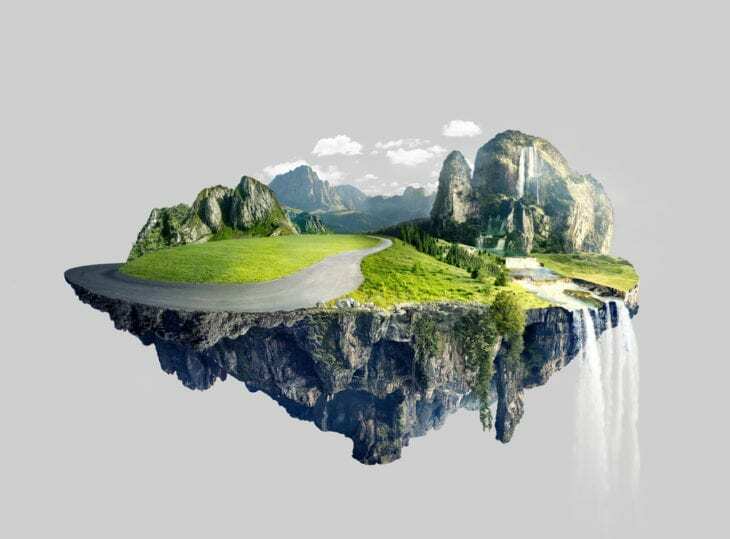 Others stated it as a mountainous region with steep cliffs and some said it is a hilly area with greeny forests. It was in 1890 when a captain claimed it was full of rocks, small and a place which is not suitable for living. In 1840, Commodore Wilks of the US commanded the two ships who tried to look for this island but unfortunately found nothing. Same with Captain Soule who also tried to check out the island during 1877. Amundsen and Shackleton did the same thing in 1909 and 1910 with the same result. But during 1894, an expedition (going to South Pole by a Norwegian) spotted something and claimed that it is the Emerald island but ended up seeing an iceberg. In 1949, HMNZS Pukaki of the Royal New Zealand Navy also recognized the assumed island but ended up seeing groups of clouds above the water. According to the legend, this island was full of beasts and demons that attacked any human who dared to reach its shores. This island was later deleted on maps ( middle of 17th century) after proven that it does not really exist. In 1670, John Lindesz Lindeman found the Saxemberg Island. Lindeman said that the island seemed to be flat area with a mountain at the middle. Some teams who tried to travel on this location stated that they saw the Saxemberg island, though Australian explorer Mathew Flinders fully explored for this land during 1801 and saw nothing. In 1804, Capt. Galloway also stated that he saw the island and its mountain in the center. He verified this again in 1816. Some sailors said they found it, and others also claimed that they settled on it. Maj. Gen. Alexander Beatson also presented a thorough data of the environment of the island in 1816. He assisted his opinion by declaring that island, together with the islands of Ascension, Gough and Tristan da Cunha (which are all existing) were made from the similar region. Saxemberg Island remained emerging on several maps until this island was reported as a nonexisting one in the 19th century. 10 Best Race Tracks in the U.S.
With all due respect, this information is critically incorrect. I am a traveller, from an antique land and I must state that I myself have visited nine out of ten of the islands mentioned. Please make sure that your information is factually correct. If you would like, I will deposit you onto these islands so that you can see them yourself. Kind Regards Dora Marquez.